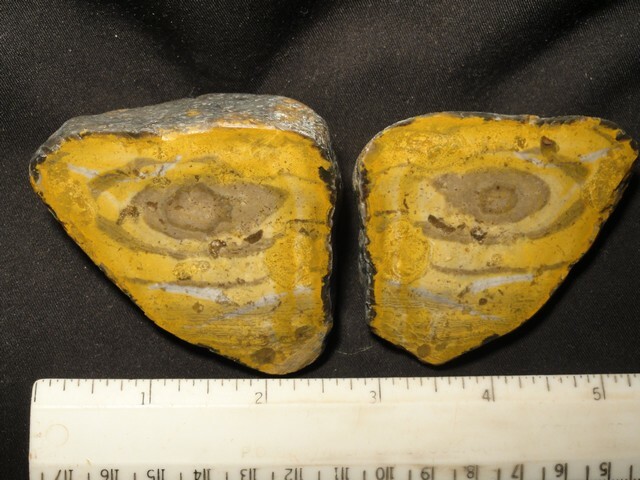 Dimensions: 2" x 3 1/4" x 1 1/2"
Notes: Here is a matching pair of Prairie agates from South Dakota. They display a remarkable eye pattern and are polished. They weigh a combined total of 10.8 ounces. Notes: Tiger iron from Australia. Thin cut end cut. Dimensions: 3 1/2" x 2 1/4" x 1/2"
Notes: Cathedral agate from Mexico with a fine polish. Notes: Noreena Jasper from Australia. 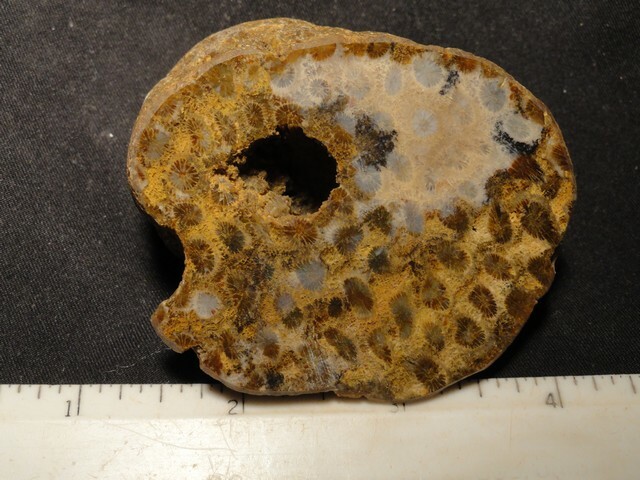 Dimensions: 2" x 2 1/2" x 3"
Notes: Agatized coral from Indonesia. 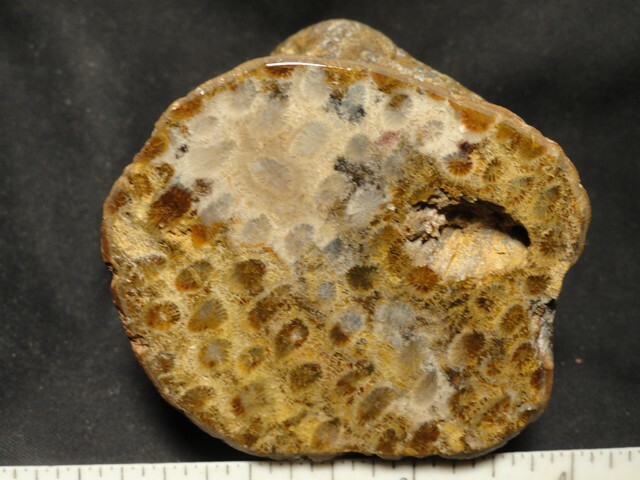 Dimensions: 2 1/2" x 2" x 1 1/4"
Notes: Agatized coral from Indonesia, polished. 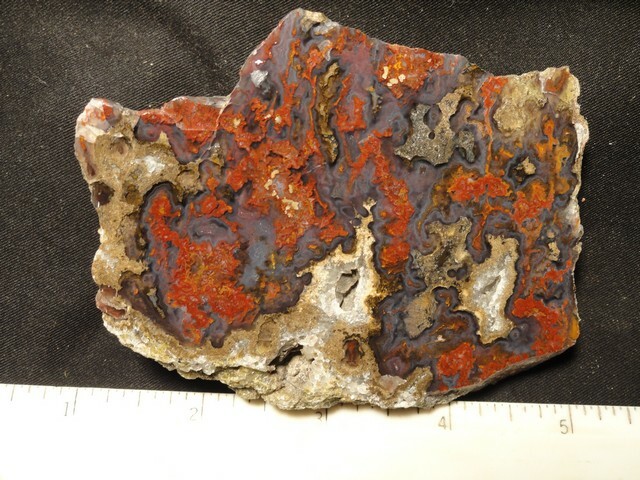 Dimensions: 3" x 4" x 7/8"
Notes: Here is a nice Royal Sahara Jasper from Africa. Dimensions: 4 1/2" x 1 1/4" x 3"
Notes: Black skin agate from India with a fine polish. 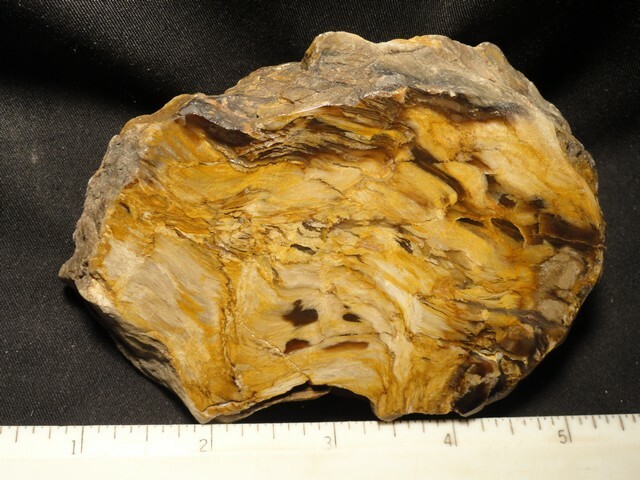 Dimensions: 3 1/2" x 1 1/2" x 1 1/4"
Notes: Polished prairie agate from Nebraska. Dimensions: 2 1/4" x 1 3/4" x 1"
Notes: Namibia blue agate, polished. 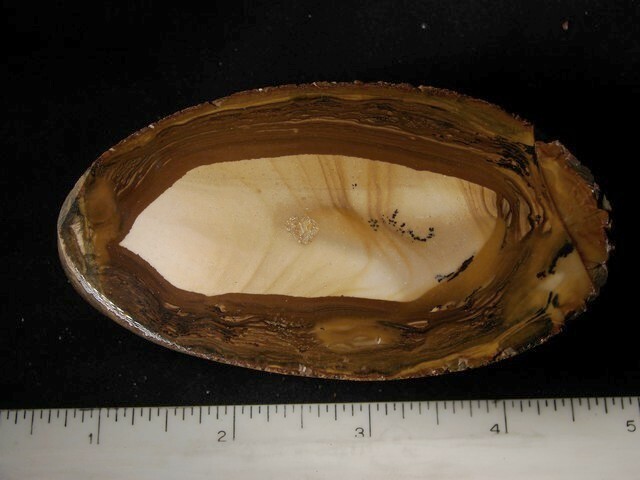 Notes: Agatized wood from South Dakota, polished. 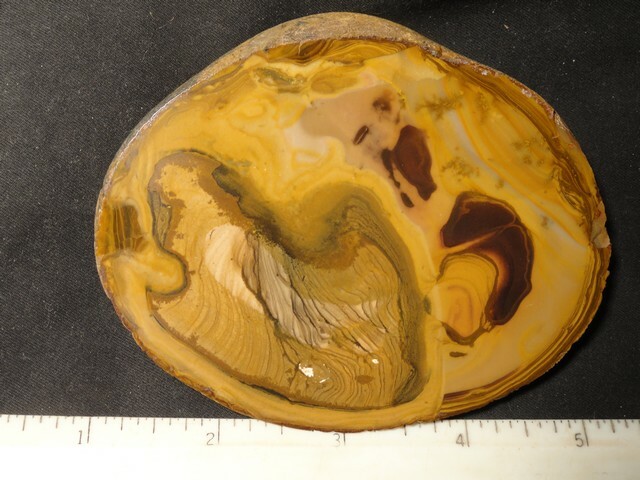 Dimensions: 3 1/2" x 2 1/2" x 1"
Notes: Here is a very nice Cathedral Agate from Mexico that has been cut and polished. 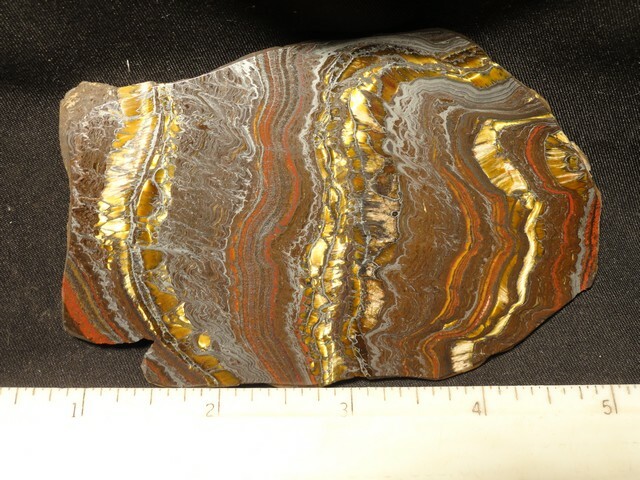 Dimensions: 2" x 3 3/4" x 2"
Notes: Here is a nice Royal Sahara Jasper from Africa. It has been cut and polished nicely. 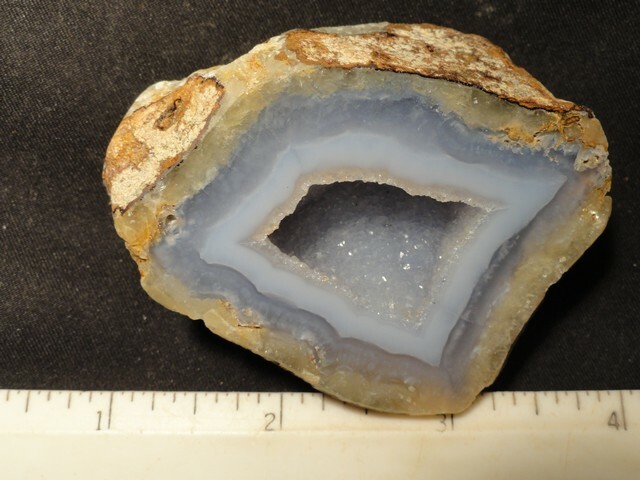 Dimensions: 1 3/4" x 2 3/4" x 2 3/4"
Notes: This is a beautiful Nebraska Blue Agate.